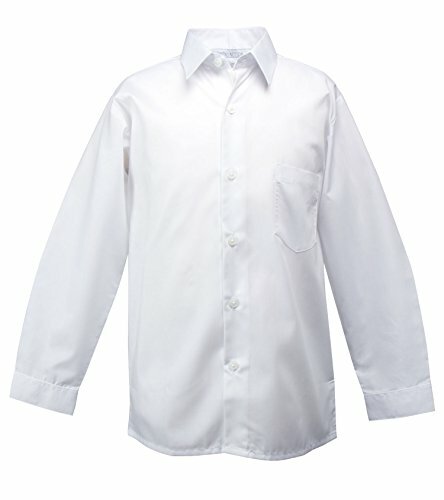 Boys solid color long sleeve dress shirt. 65% polyester, 35% cotton. Machine wash with like color. Warm iron. Long sleeve dress shirt with front pocket. Sizes available from infant to 20. Machine wash cold with like color. Tumble dry low. Warm iron if needed.